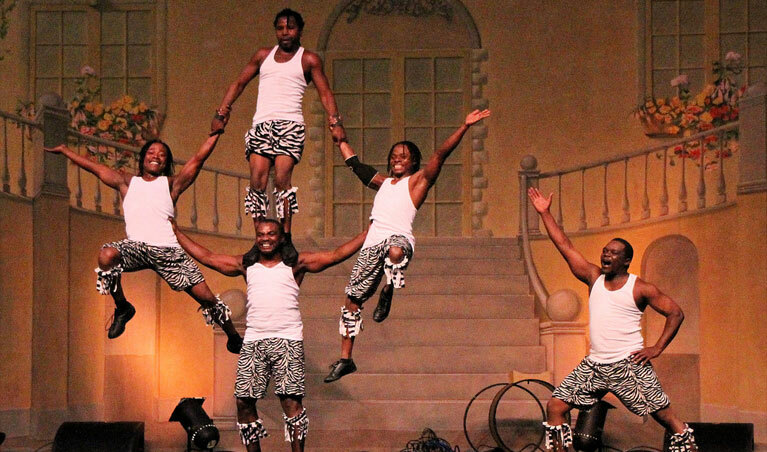 Full of energy and full of love, African Acrobats are the perfect solution to give an energetic performance. We have the most super talented team of African Acrobats who love to perform in events where the viewers are attentive. This is larger than life performers and their traditional dance surely will entertain the guests and charm the event. We provide equipped performers with full energy and entertaining skills; with this our management will surely want you to have more in less money. For us money was never the target, customer satisfaction is enough and we believe in giving the full treatment in whatever we ask for. At Artist on Demand, our managers will look forward that your every need is getting fulfilled and everything is well maintained. All the requirements of the performers will be provided by us, all you have you to do is to book them and relax enjoying the show. Their high risking stunts will make everyone pop their eyes out and gasp every breath of theirs. But these artists are well trained and do all the stunts under strict routine. We hold most years in this industry and hence we greet the customer with experience and talent. Famous artists know how to work professionally and we provide the best assistance through that. Be it a launch event or wedding or even some fashion show, African Acrobats will be the talk of the event for sure. Many customers still give us feedback about the same and we try to improvise taking those compliments and use it as motivation. There's nothing bigger for an artist as big as appreciation! At Artist on Demand, our artists are known for outstanding performances and to rock all kinds of event. The meeting will be held for what kinds of services you would like to have and in which all the prices will be declared by us. Do not hesitate to contact us because we are as friendly as our artists. Come, have the best performers for your event and get ready to have amazing performances throughout your events, we provide the artist and you get the compliments.